The Australian FX industry looks set for a rebound and a healthy growth period in 2016 after four years of contraction. The first indication of recovery in the FX industry is based on the steady number of FX traders, which according to the 2015 Australian FX Report now stands at 49,000 traders. For the first time in four years, the report said the number of traders has been steady the past year. If you look at 2015, it’s been a time of increased volatility in the FX market. It was the year when the Swiss National Bank decided to remove the peg of the Franc from the Euro. This caused massive turmoil in the global FX markets and caused some consolidation among FX providers. On top of that global central bankers rolled out a series of interventions to protect their own respective currencies. All these created a volatile market environment, which proved to be a welcome boost to traders. “The industry has the opportunity to grow significantly in 2016,” said Irene Guiamatsia, Senior Analyst at Investment Trends. The report found that the number of people intending to place their first FX trade in the next 12 months increased by 60% compared to the previous year. Based on historical conversion rates, this could mean an estimated 17,000 investors are expected to begin trading FX in 2016. Given the expected continuation of volatility in global markets and with traders wanting to capture price movements, FX providers must be bracing themselves for growth this year. Profile Booster asked several FX providers about their outlook for the industry in 2016. Here are some of the responses from a number of major FX providers. He added that OANDA Australia will capitalize on the strength of its parent company to take advantage of the growth in the domestic FX market. Another sign of positive growth in the FX industry is the increase in switching activity among traders. According to the report, the high number of traders switching (from one provider to another) is likely to accelerate, which could mean an opportunity and a threat for all FX providers. With elevated volatility levels, overall trading activity is picking up and FX traders are more likely to shop around for the best offer. In the 12 months to November 2015, an estimated 10,000 FX traders left a provider and continued trading elsewhere. This represents 21% of the Australian FX market (up from 19% in 2014), and places Australia third by switching levels, after France (28%) and the UK (26%). “Increased trading activity and a more seasoned and demanding client base are fuelling the switching activity,” said Guiamatsia. “These trends also mean providers need to deliver first class service and have strong retention strategies in place to avoid losing clients,” she added. Though the overall prospects for the FX industry is looking bright, providers identified a few challenges they could be facing this year. The regulatory and compliance environment seems to be a common challenge area for FX providers. Gavin White at Invast said: Without doubt, the biggest challenge for most players in the Australian FX industry is Regulatory Reform. He said the other challenge is the trade reporting requirement, which came into effect in late 2015. Related to compliance and the regulatory framework, there is also that proposed legislation which will change the rules on the use of client money amongst derivatives providers. This is an issue that is still dividing the industry at the time of this writing. Another challenging area identified by FX providers is the ever increasing globalisation of trading. While this may seem a huge growth opportunity at first glance, there is no doubt that FX providers could face different challenges as they expand to other markets. For example, most FX providers now maintain multi-lingual websites that cater to international clients. They also need to hire multi-lingual staff to provide customer service to clients. This means that information materials, documentations and other relevant documentations have to be available in different languages. And this could mean additional operating expenses for FX providers. Amidst the healthy growth prospects and the corresponding challenges for the Australian FX industry, one imperative remains: FX providers need to stay competitive. In an earlier post entitled The Future of Forex and CFD Brokerage Firms, we painted the changes that have shaped the industry over the past several years. And while the Australian FX industry is showing signs of maturity, FX providers need to continue to invest and innovate to stay competitive. Trading Education – some FX providers are beefing up their trading education programs to ensure they cater to traders at all levels. 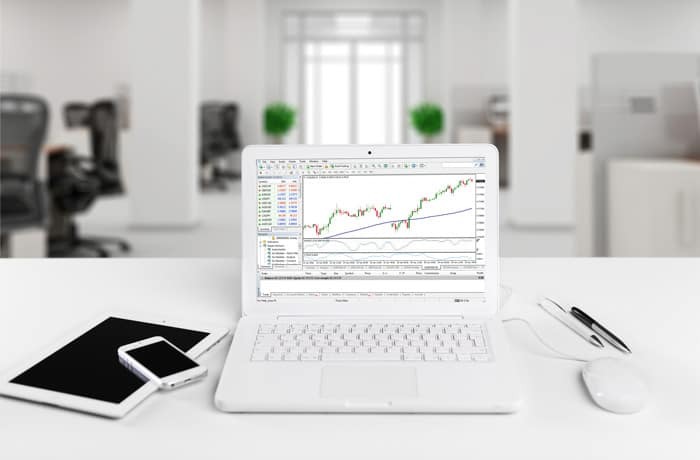 Trading Platform – other brokers are investing on their trading platforms to ensure they give traders the most popular and easy to use trading software. For FX traders, this could only mean better offering and services from providers who will be doing their best to maintain or improve their market share.